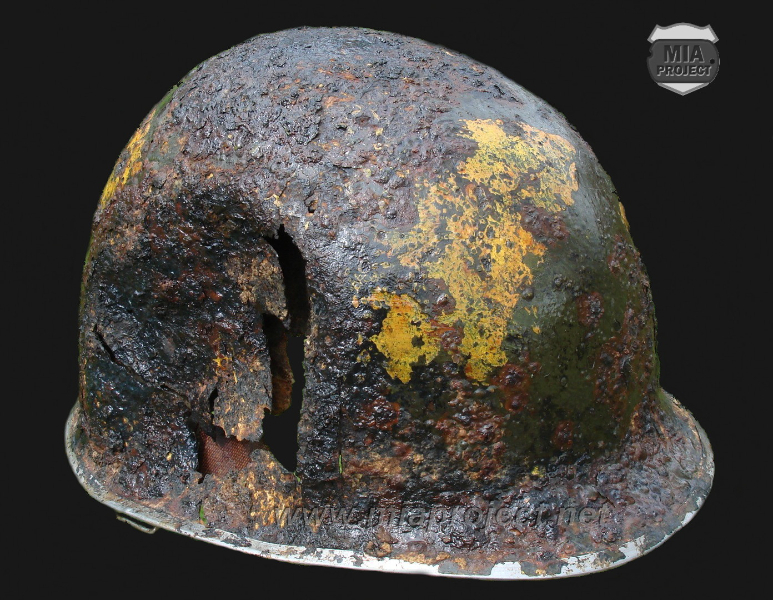 This well preserved camouflaged McCord M1 helmet was recovered in a large hole in a sector held by the 2nd Battalion of the 393rd Infantry. The right side of the helmet shows evidence of a serious blow, the liner bears crudely painted marking. 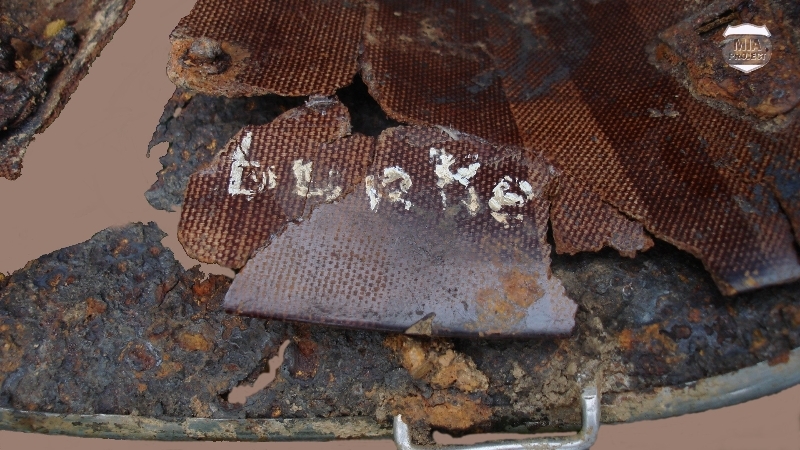 They read: “burke” and “B-2419”. 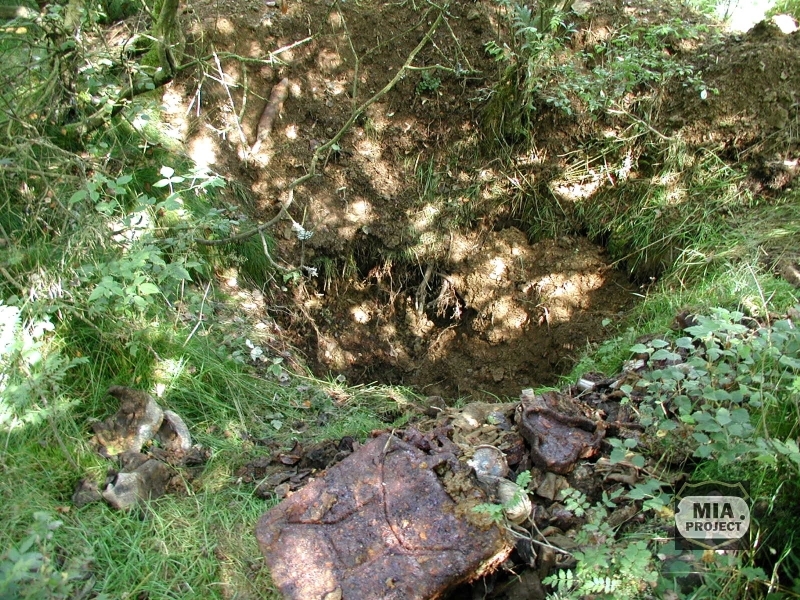 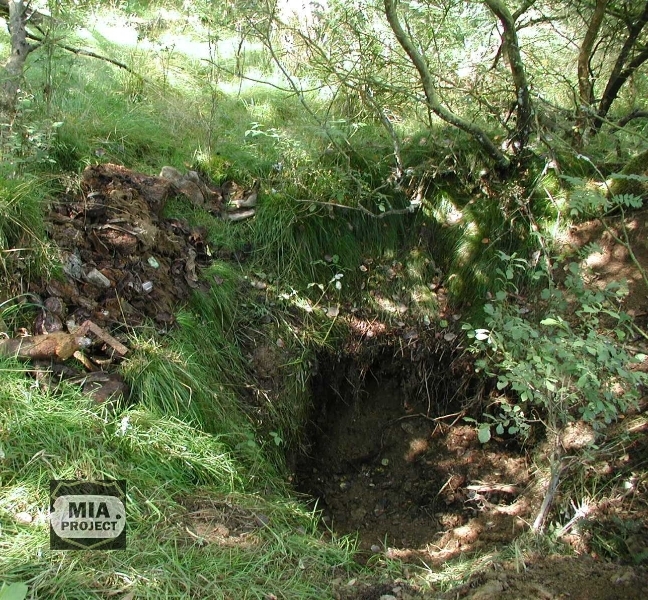 This ill fated dugout was not reoccupied and ended up as garbage pit for the platoon. Discarded equipment such as shoes, canteens, mess kits, ration cans, jerry cans, mortar containers, radio batteries soon filled the hole and covered the helmet. 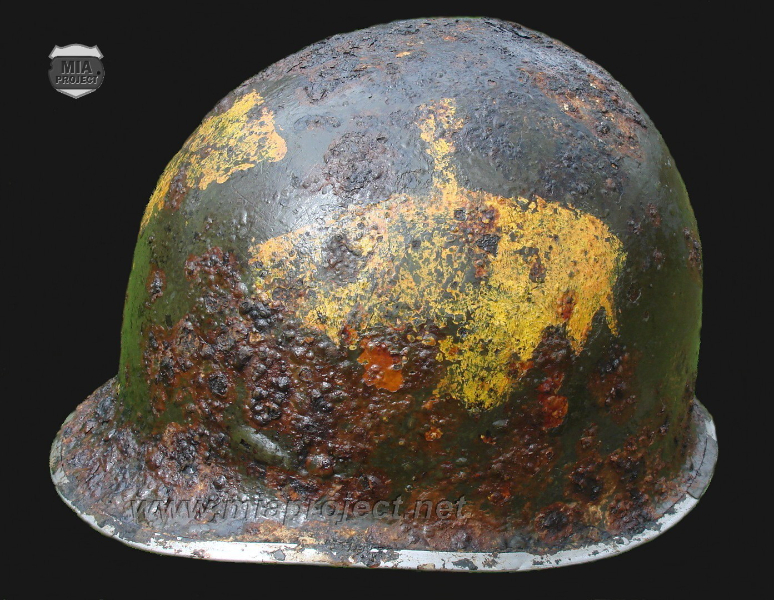 James Burke passed away on July 30, 1982 in Pennsylvania, long before his helmet surfaced.